After the world premiere of the Mercedes-Benz A-Class at Geneva Motor Show 2012, the new A-Class is set to be on its way to European dealers in September 2012. To further pitching the market of new Audi A3, BMW 1-series and Volkswagen Golf GTI. 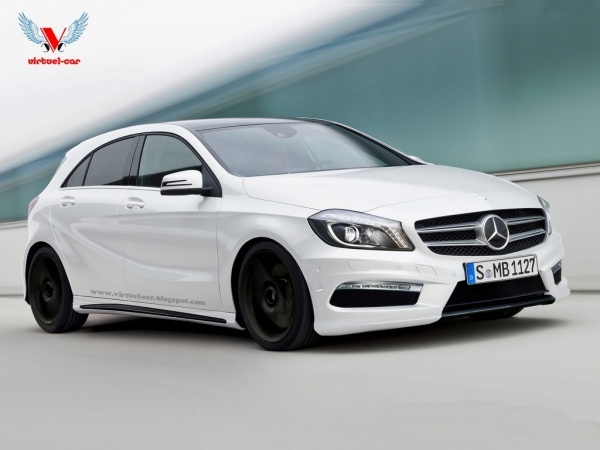 It is confirmed that Mercedes-Benz will be introducing the A-Class with AMG variant. According to speculation, Mercedes-Benz is going to make the A45 AMG with combination of powerful turbo engine, all-wheel drive system, and a more luxury finishing. 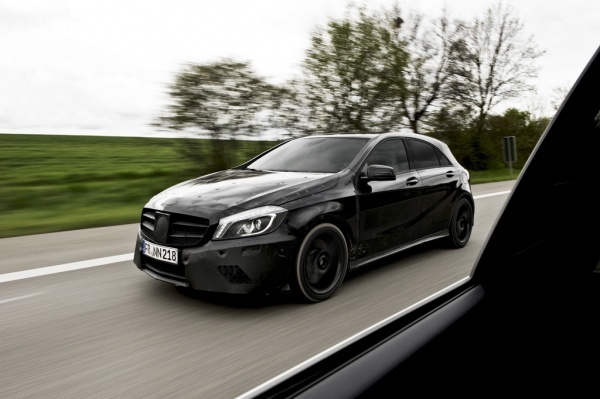 Likely, this model will be marketed as the cheapest AMG you could get your hands on. Below are the photo send by virtuel-car based on their visual illustration (modified from photo of the standard new A-Class model) from the spy shot.